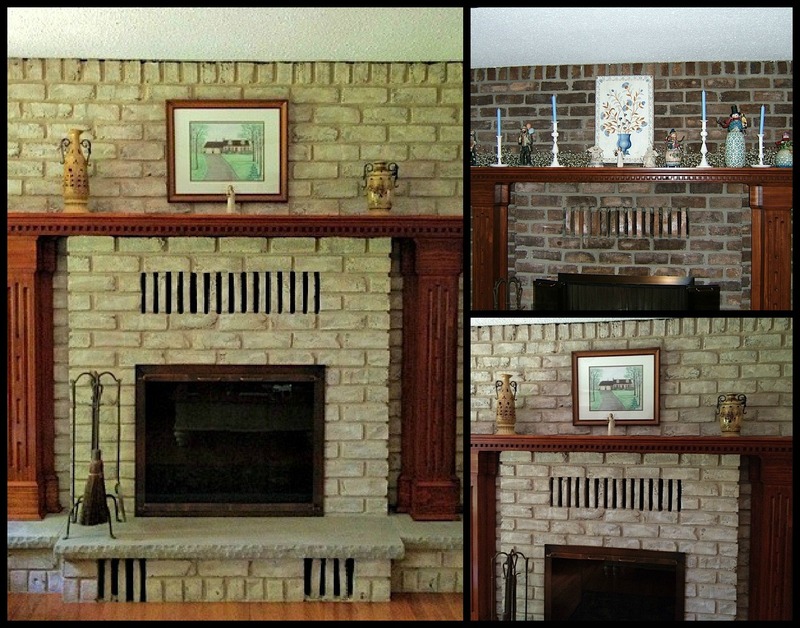 Fireplace Decorating: The Difference Is Dynamic and I Did It Myself! The Difference Is Dynamic and I Did It Myself! Here are my pictures as I promised. I Thought I had a before that showed the whole fireplace, but I couldn't find it. As I said in an earlier email WOW!!!! The results are better than we expected. Great product and DVD/video instructions. As you know, our fireplace was so dark and made the room look smaller. When I saw you had recommended the Brick Anew Brick Paint Kit I never would have thought that the difference would be so dynamic. It has brightened up the whole room, and makes it look bigger. We had planned to cover the fireplace brick with sheet rock and tile. I thought this might be a temporary fix, but I love it so much I wouldn't think of covering it now. You saved us a lot of money, not to mention time as it only took us about six hours to complete. I would highly recommend this fireplace remodel to anyone before taking any drastic measures to replace, cover or destroy their brick fireplace. Thanks again.